Lying in an intensive care room in Rantisi Hospital for Children in Gaza, the 3-year-old Yousuf al-Agha faces the risk of death as the Palestinian Authority (PA) procrastinates in issuing a treatment referral for him. 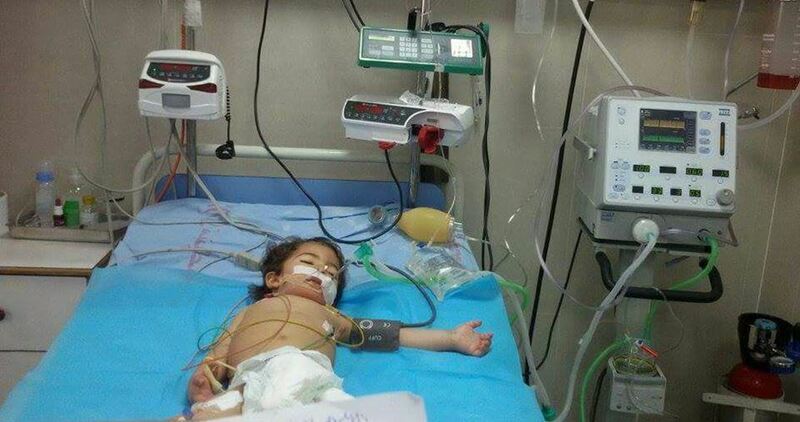 The angel-faced child suffers from kidney failure and is in a dire need for dialysis on a regular basis as well as many tests and medications that are not available in the Gaza Strip, according to the Gaza Ministry of Health. A month ago, the hospital had applied for an urgent medical permit to transfer Agha abroad for treatment, but it has not been approved yet despite the presence of reports confirming that his condition is very critical and that time is a crucial factor in his case. Director of Rantisi Hospital for Children, Dr. Mohammed Abu Silmiya, affirmed that Agha is at the risk of death at any moment because of the delayed treatment and that he needs to travel immediately. The PA has recently begun a series of collective punishment measures against the Gaza Strip including denying it of its share of medicines and procrastinating in issuing medical referrals. Israeli authorities implemented a third round of electricity supply cuts to the Gaza Strip on Wednesday — honoring a request from the Palestinian Authority (PA), which announced, last month, that it would drastically reduce its payments to fund the Hamas-run territory’s electricity bill — as the Egypt government started to deliver diesel fuel to operate Gaza’s only power plant. Spokesperson for the Gaza Electricity Distribution Corporation Muhammad Thabet said Wednesday morning, according to Ma’an, that Israeli authorities reduced the output of the al-Shaaf grid, which feeds the Gaza City district, from 12 to 6 megawatts. The output of Line 8, which feeds the Khan Younis district in the southern Gaza Strip, was also reduced from 12 to 6 megawatts. The 12-megawatt cuts came after output was reduced by 6 megawatts on Monday and 12 additional megawatts on Tuesday, meaning that the total output of Israeli electricity grids feeding the small Palestinian territory has been reduced from 120 to 88 megawatts in the last three days — representing about a 30 percent reduction in energy prior to the current crisis. 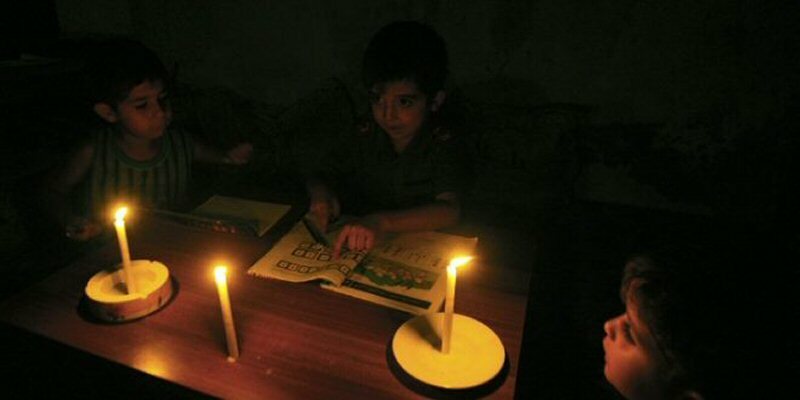 According to Thabet, Gaza’s some 2 million residents face just two to three hours of electricity every 24 hours as a result of the cuts. Meanwhile, the Egyptian government have started to provide industrial-use diesel fuel to run the Gaza’s sole power plant, which shut down in April, when Gaza’s electricity officials said they could not afford a PA-imposed tax on diesel that doubled the price of operating the plant. The power plant has not run at full capacity in years, with Israel’s crippling blockade severely limiting fuel imports into the coastal enclave. This left the Israeli power lines as the only reliable power source feeding the impoverished territory, since the power lines from Egypt that supply electricity to southern Gaza are often out of operation due to technical issues. Witnesses in Gaza said they saw fuel tankers entering via Egypt’s Rafah border crossing, which was opened on an exceptional basis Wednesday morning to deliver the fuel. Gaza’s Finance Minister Salim al-Kayyali told Ma’an that 11 fuel trucks carrying approximately 500,000 liters of diesel were delivered from Egypt to the power plant, adding that a million additional liters would be shipped on Wednesday evening or Thursday morning. Undersecretary of the Hamas-run Interior Ministry in Gaza, Tawfiq Abu Naim, said, at a news conference at the Rafah crossing, that the Egyptians “promised to open the crossing and introduce additional facilitations,” though it remained unclear if he was referring to the additional entry of fuel, or to possible opening of Rafah to allow Palestinians trapped on either side of the border to cross. While the PA has said that its decision to cut funds for electricity was a result of Hamas’ failure to reimburse the Ramallah-based government, critics have said the Fateh-led PA is actually trying to pressure its rivals Hamas to relinquish control of the besieged coastal enclave. Gaza, which marked its 10th year under the Israeli enforced blockade last week, has struggled for years with power shortages due to limited fuel access and degraded infrastructure. Egypt, the only other country sharing a border with Gaza, has also upheld the blockade since Abd al-Fattah al-Sisi overthrew the Muslim Brotherhood-led government, in 2013, and became president. It remained unclear whether or not Wednesday’s provision of diesel fuel came as the result of any new developments regarding Hamas’ cooperation with Egyptian security authorities, though the two bodies have reportedly improved their relations, recently. 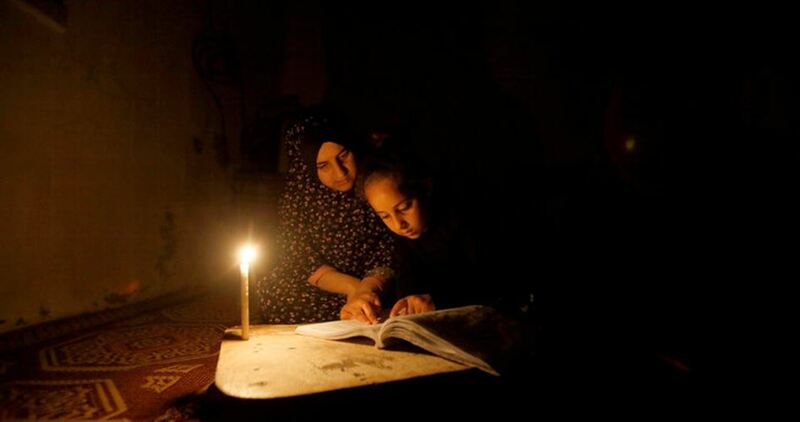 Chris Gunness, spokesperson for UNRWA, the United Nations agency for Palestinians refugees, highlighted in a statement Wednesday that before the current crisis, Gaza was already receiving less than half the 450-500 megawatts needed in the coastal enclave. Gunness noted that “the grave impact” lack of electricity has on the delivery of basic services to the Gaza population, including the supply of drinking water, treatment of sewage, the availability of health services, businesses, schools, and most aspects of daily life. He said that water quantity supplied to households, including drinking water, has decreased from 90 liters per capita a day to 40-50 liters per capita daily — nothing that the World Health Organisation recommends a daily average consumption of water to be at least 100 liters per person. His statement also noted that Gaza’s Health Ministry has warned that 40 operating rooms and 11 gynecology operating rooms, which conduct about 250 surgeries daily, in Gaza, are now at risk — compounded by another financial crisis in the medical center as a result of the PA slashing funds for hospital equipment and medication. While UN Humanitarian Coordinator in the occupied Palestinian territory Robert Piper characterized the ever-worsening crisis in Gaza as “an internal Palestinian dispute,” rights groups have placed the bulk of the blame on the Israeli siege. The Israeli police in Occupied Jerusalem ordered on Saturday the closure of the shops located in the vicinity of the area where an anti-occupation attack took place on Friday evening. Local sources reported that the Israeli police threatened to impose fines on the owners of these shops if they did not obey the orders. 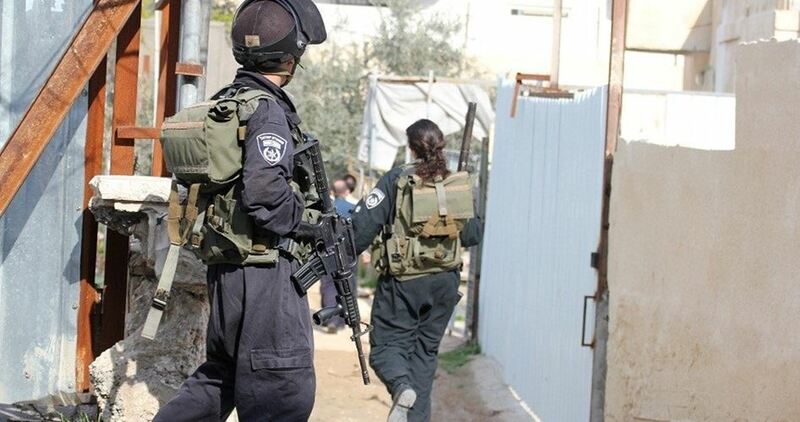 The Israeli authorities launched on Friday a series of strict measures following a dual anti-occupation attack in which an Israeli policewoman was killed and 6 Israelis were injured. A statement by the Israeli police mentioned that the Israeli Prime Minister Benjamin Netanyahu endorsed the recommendation of the Minister of Public Security, Gilad Erdan, and Chief of the Israeli police, Roni Alsheikh, to cancel the permits allowing the families of the Palestinian youths who carried out the attack to enter the 1948 occupied territories and keep their permits to pray at al-Aqsa Mosque on Friday under strict measures. 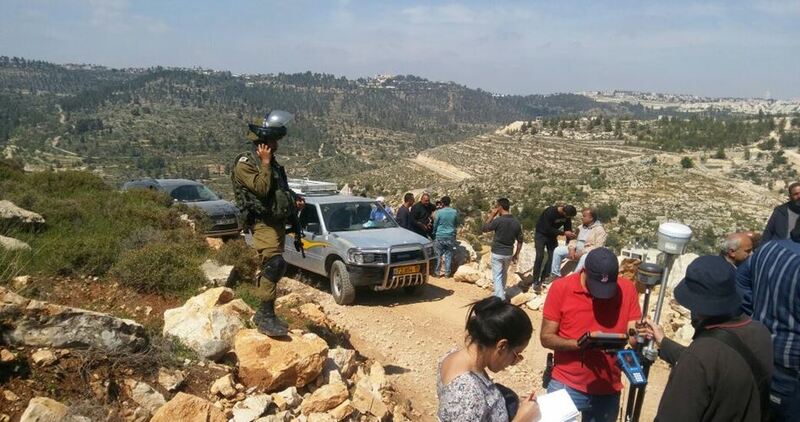 The Israeli occupation army on Monday disconnected water supply lines used by Palestinian farmers to irrigate their agricultural lands in Furush Beit Dajan village, east of Nablus city in the West Bank. 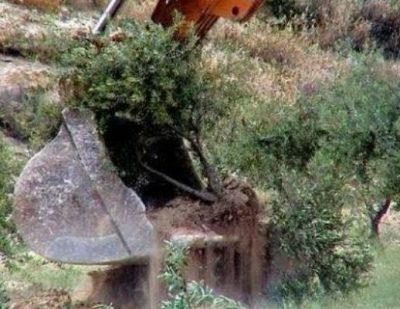 Chief of the village council Tawfiq al-Hajj stated that the Israeli army’s civil administration prevented Furush Beit Dajan farmers from watering their cultivated plots of land, which would affect the crops and the agricultural season. Hajj explained that employees from the civil administration escorted by soldiers cut water pipes utilized by local farmers to irrigate their crops at the pretext they were established without a license. He complained that the Israeli military authorities systematically target Furush Beit Dajan villagers and deprive them of using groundwater resources in their area, and reclaiming or cultivating their lands. He added that such Israeli measures are aimed at paving the way for annexing the Palestinian agricultural land in Furush Beit Dajan and using it for settlement projects. The Israeli cabinet decided Sunday to respond to the request of Palestinian Authority (PA) and reduce the supply of electricity to the Gaza Strip, Haaretz Hebrew newspaper revealed. An Israeli official told the daily Haaretz that the cabinet had accepted the recommendation of the Israeli army not to ease Gaza siege and to cut the supply at the request of Palestinian Authority President Mahmoud Abbas. The Israeli official said that during the cabinet meeting, IOF Chief of Staff Gadi Eisenkot, the head of military intelligence Hertzi Halevy and the Coordinator of Government Activities in the Territories (COGAT) Major General Yoav Mordechai described the conditions in the Gaza Strip as worsening, but still welcomed the pressure on Hamas even while warning that a cut in the power supply might lead to "escalation on the Gaza front". Mordechai, said the official, recommended adopting a policy that is not contrary to that of Abbas. The PA has been paying 40 million shekels ($11.3 million) a month for 125 megawatts of power supply for Gaza, but recently said it was now only prepared to pay for 20-25 million shekels ($7 million) a month for electricity to Gaza. Following the Palestinian decision last month, Mordechai had said he would cut the Gaza supply. But Energy Minister Yuval Steinitz’s stepped in to say that Israel would make the decision based on its own priorities and does not take orders from the PA.
Several Israeli military bulldozers on Monday morning carried out a small-scale incursion into the eastern border areas of Khan Younis, south of the Gaza Strip. 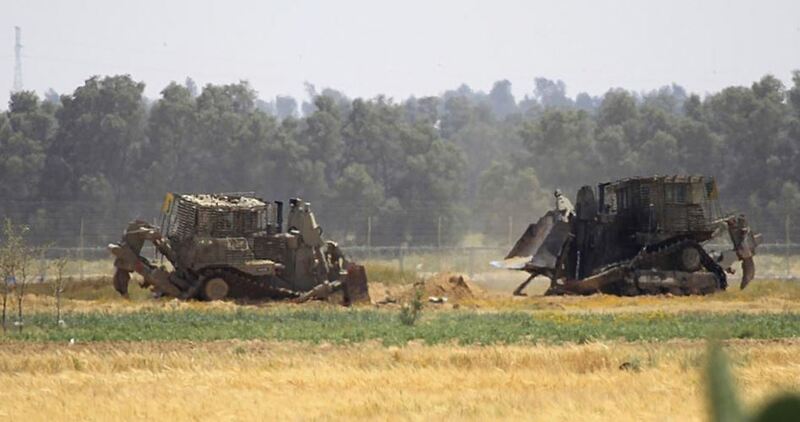 According to local sources, six armored bulldozers embarked on advancing into an agricultural area east of al-Qarara town in Khan Younis, while other military vehicles and tanks were seen providing them with cover from a distance. The bulldozers came from the military post known as Kissufim, east of the town, and started to raze agricultural plots of land, the sources added. Gazan farmers incur heavy losses as a result of Israel’s repeated military incursions into their agricultural lands, which are located along the borderline with the 1948 occupied territories. 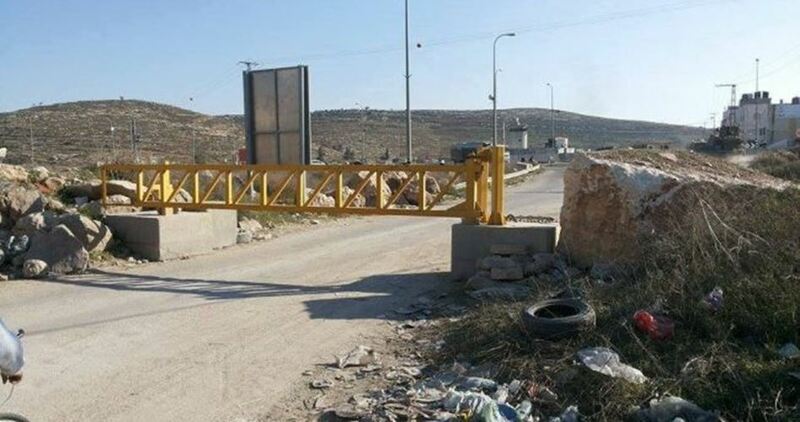 Dozens of settlers of Yitzhar settlement attacked on Friday afternoon the town of Asira al-Qibliya, south of Nablus city, under protection of Israeli occupation forces. Eyewitnesses told the PIC reporter that extremist settlers started fire in Palestinians’ agricultural lands at the outskirts of the town leading to a huge fire in olive and fig fields. 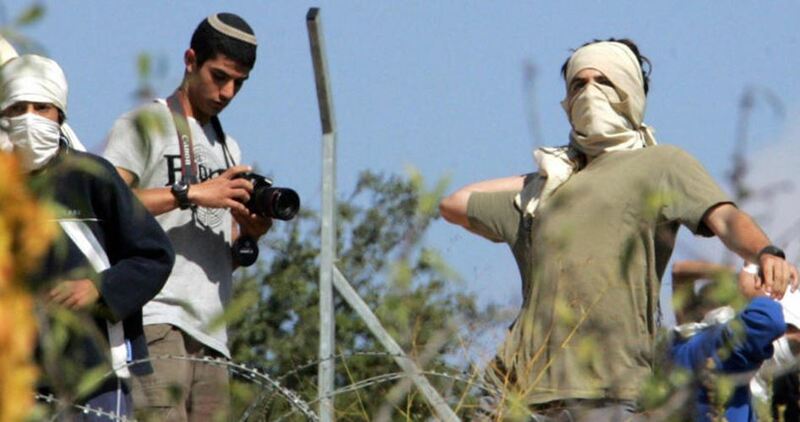 The attacking settlers threw stones at homes in the town, then clashes erupted between the settlers and inhabitants. Israeli soldiers fired tear gas grenades at the local protesters to disperse them. Israeli Occupation Forces (IOF) handed over on Thursday demolition orders to raze two restaurants in the historical area of Sabastia town to the north of Nablus city in the northern West Bank. 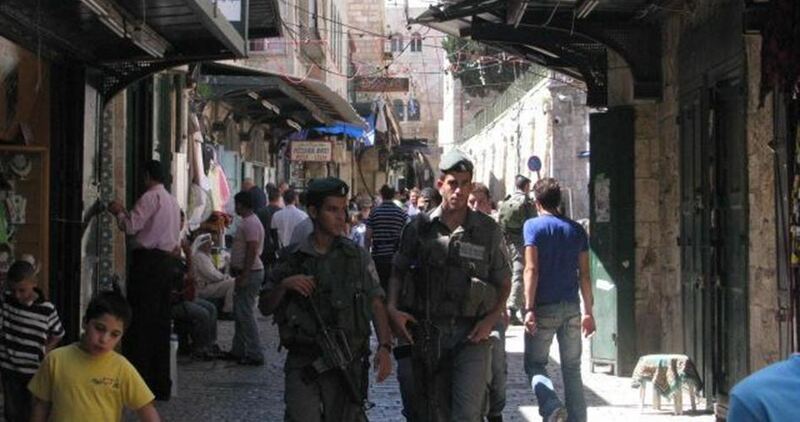 Head of Sabastia council, Mohammad Azzam, said that IOF soldiers stormed the historical site in the town and handed two demolition orders to two restaurant owners: Nael Aqel and Fakher Mekhaimer. The IOF troops claimed that both restaurants are located in the Israeli-controlled area classified as Area C.